2What does modern medicine say? According to EarthSky, we are about to see the longest lunar eclipse of the 21st century. Well, not “we,” as it won’t be visible for the whole North America continent. 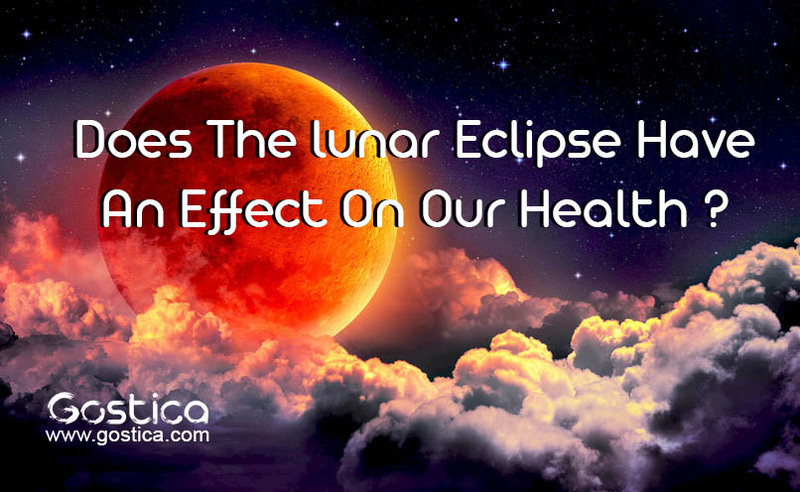 However, if this lunar eclipse affects human health, we still might experience the influence of the upcoming event. So let’s sort things out. Do lunar eclipses affect humans? If so, in what way? The Moon will “get painted with blood” on July 27th, and the show will last for almost two hours. According to NASA, neither lunar nor solar eclipses affect humans. NASA says there is no evidence that supports the idea that lunar eclipses have a physical effect on people. But it does admit that eclipses can produce “profound psychological effects” that can lead to physical effects because of the beliefs people have and the actions they take because of those beliefs. Lunar eclipses occur when the full moon passes into the shadow of the side of the Earth facing away from the sun. Eclipses temporarily dim the light of the full moon. The modern medicine seems to agree with the “space boys.” Studies show no evidence of any harmful effects from lunar and solar eclipses. However, it has been proven that solar flares send electromagnetic waves into space and affect the Earth’s magnetospheres. This, in turn, affects mostly children and meteosensitive people. Such explosions on the Sun can change a person’s mood, emotions, or even behavioral patterns. It can also worsen many psychological conditions like anxiety, depression, bipolar disorder, etc. Ayurvedic medicine, however, has a different opinion regarding the topic. It is believed that people should not go out during a lunar eclipse. According to this belief, the exposure to the Moon’s light at that time can lead to health problems. According to Ayurveda, a person might not behave the way they want. Our past deeds become activated during eclipses, and that’s when karma kicks in. Some people believe that negative effects start around a week before the eclipse. Ayurveda recommends staying away from all the unusual things or events that may happen during this period, such as changing your career. Modren technologies and science is doing its level best to see nano and molecular effects of different happenings ,like change in season ,day and night,eclipse etc. on human body. But they are still far away from the actual subjective effects which were observed by our ancient learned scolars.